In October I challenged myself to read the 17 books on my shelf that I purchased in the past few years, and had never read. I am giving myself to the end of 2014 to finish so I can intersperse them with other (newer, brighter, shinier) books I am dying to read! For the rest of October, I finished up the library books I had on the go, and I started my in-house list on November 2. If you’ve been following along, you know that I started with The Book Thief. Since it was coming out as a movie in November, I wanted to read it before I accidentally stumbled across spoilers related to the movie version! Like Sarah, I have read loads of books about the Holocaust. I suppose I put off reading this one because of the theme – I need to be in a strong place before I can read about devastating events. The book appealed to me in the bookstore because it is narrated by Death (the “Grim Reaper.”) You know from page 1 that all the characters will die and it is just a matter of how and when. The more you read, the more you care about the characters and want to know how they meet their demise. I thought that Liesel and Hans (among others) were unforgettable. Did anyone else think of Anne of Green Gables and her Matthew? Getting toward the end of the book, I thought, “Now what could the author do to make the death of the main character more distinctive?” and I guessed the ending. I read this book on my trip to Toronto – on the plane, and every day at the B&B. When I was nearing the end, Rom and Link were in the room with me. I snuffled my way to the last page. I had been telling them about the book throughout the week, and they weren’t planning to read it, so I told them about the ending. It was a fine performance – I totally “lost it” – I was crying my eyes out as I explained what happened! Despite what you’ve just read, the book was life-affirming and I highly recommend it. 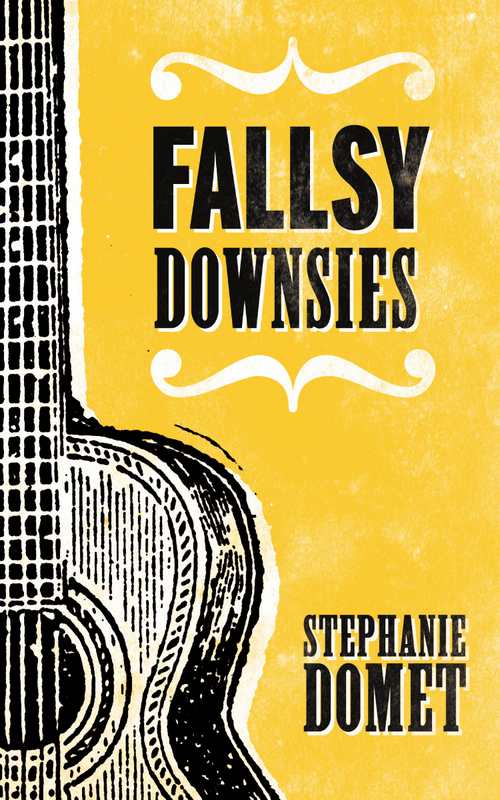 Next I read a new book from the library – Fallsy Downsies by Stephanie Domet. A local author and radio personality, I had read her first novel when it came out 5 years ago. This one was a folksy novel about a legendary Canadian folk singer and his protege, Evan, a small-town boy who follows the folk singer on what might be his last tour. I enjoyed reading it. The characters and situations were a bit precious at times – and it almost didn’t matter how it ended. It was a little slice of life and a coming-of-age story. 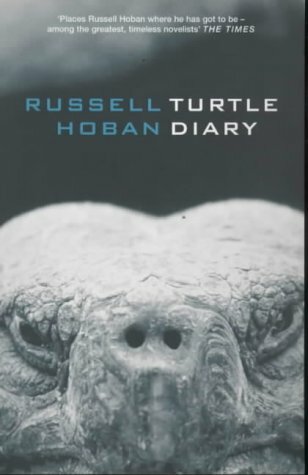 Finally, I read Turtle Diary by Russell Hoban. Does anyone know that name? He is the author of Bread and Jam for Frances and The Mouse and His Child, and lots more children’s books. I had no idea he’d ever written adult novels until I stumbled across this one. It was first published in 1970 and re-issued in 2000. The book alternates chapters in the voices of the two characters, William and Neaera, two loners in their own little spheres, who we now might refer to as Aspies. Each of them is very sharp-eyed in describing their own limits and their inability to connect with other people. They end up working on a common goal, which does involve…turtles. The book makes many profound statements about the human condition – I want to quote them all! It was also startlingly contemporary given that it was written 43 years ago. If you like somewhat philosophical books such as The Elegance of the Hedgehog, you’ll like this. omg…I just looked up the book cover for Turtle Diary and found out it was made into a movie in 1985 with Glenda Jackson and Ben Kingsley!! 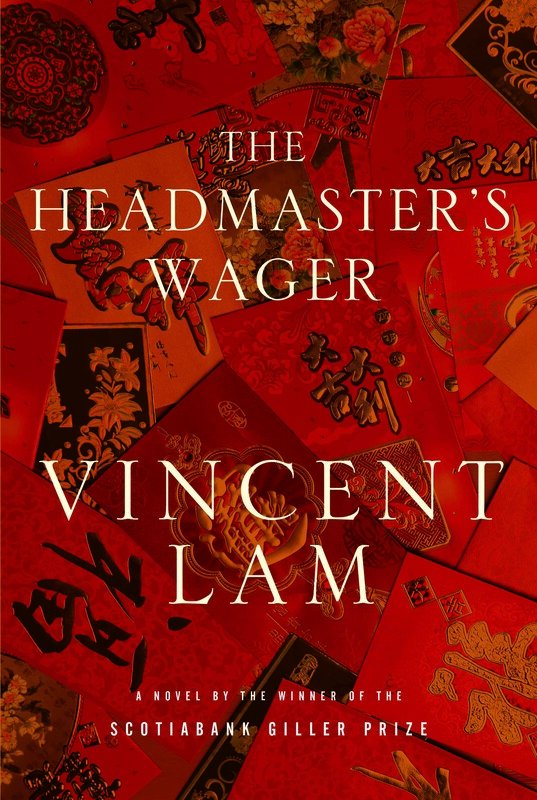 I am currently reading The Headmaster’s Wager by Vincent Lam. Again, I had read his previous book, Bloodletting and Miraculous Cures. This one is a real page-turner and quite scary by my standards. I have a hard time reading books in which a parent is dealing with their child in peril – does anyone else? My book club is discussing it tomorrow night so I will be up late finishing it! The book club book wasn’t on my Reading Down the House list, so I need to choose my next book. It will be Going Out by Scarlett Thomas, for a change of pace. Interestingly, I liked the two books from my own collection better than the two library books. I am glad already that I took on this challenge. What are you reading? Anything from your own book shelf? Feel free to link any of your reading-related posts in the comments. I estimate I have over 50 books on my shelves that I need to read. Stocked up when we moved back to the country. I remember looking at the Book Thief in the store and could have sworn that I bought it – but alas, can’t find it! Let me know if you read it, Mel! What is next on your reading list? Thanks for the link – funny how I’ve forgotten the story of The Book Thief – I might read it again, though I’m sure I’ll start remembering soon enough. I think you fear of things befalling your child is common among parents, so don’t worry. I’m slowly getting through my ‘reserve’ list at the library, including starting some and rejecting them which is hard for me. But if they aren’t interesting, or too academic, I don’t see the point in them stalling me from reading something else. I am a firm believer in NOT reading books that don’t interest you right away. There are far too many good books in the world to waste your time on boring ones. There are only a few that start off slow and turn out to be fantastic! And people will keep telling you about them and convincing you to read them! Just did a post of the books I’ve read recently. “The Time Keeper” by Mitch Albom was on my list – a bit different from his others and an okay read. My favourite tho was “The Rosie Project” which I loved – it though was not on my to-be read list! I had read reviews, it was on sale at Costco and of course I had to buy it. But plan to finish “The Hobbit ” next – and it is on my list! A book I read early in the month and not sure if I mentioned it was “Three Day Road” by Joseph Boyden – an exceptional read. I have read The Hobbit but never the LOTR trilogy! I managed to read four of my unread books (all on Kindle) and have got most of the way through the grist physical book, which is a history of the town where I live. Unfortunately starting a new job has taken up lots of my reading time, and tired me out, so there may be much slower progress from now on! Thanks for linking up, Nicola! I think 4 is really good! About the knitting – my spouse sets his Kindle to read aloud to him – if you can tolerate the somewhat mechanical voice! I’ll have to try that! At the moment I prop my Kindle up and read whilst I knit…which is fine, unless it is a tricky bit of knitting that I need to concentrate on! Just loved The Book Thief. I, too, cried and cried, even though I knew what was coming. And you’re right, it is life affirming. Like the unusual voice – that Death is just sick of death. I thought I knew the name The Turtle Diaries. I vaguely remember the movie. Never read the book, though. I agree with you. Too many books to waste time in ones that are not for you. But I do find that the longer a book stays unread on my shelf the harder it is to start reading it. What psychology is at work there? Yes, that’s right – it is almost as if I develop a mental block about reading some books – as if someone is telling me I “should” read them or they are “good for me,” but I am only putting that pressure on myself! Maybe because I bought the books, I feel guilty about having wasted money if I don’t read them and don’t give them away! So, his work isn’t exactly deep or philosophical, but I’ve been getting caught up on all the David Sedaris books I’ve bought over the years and never read. I’ve been in need of a few good laughs and he certainly knows how to provide them! Library holds are starting to pop up as ready for me, though, so I’m going to have to get back to those soon! I have only ever browsed his books – I should read one properly! I haven’t yet read the book thief – last year I did double duty with Sarah’s Key and The Boy in the Striped Pyjamas and have been putting off any further holocaust books for a bit – but you’ve got me curious now. Currently I’m reading The Art of Racing in the Rain – it’s good so far, but I am afraid it’s going to be a sad one. I haven’t heard of TAORITR – I will look it up. The other two – maybe after I’ve given myself a break from heavier subject matter for a while. I read it last summer and loved it! I actually picked it up again after to read bits that I read over too quickly. I am quickly developing a very long reading list! I read “The Book Thief” last year as well as “Sarah’s Key” and “Boy in the Striped Pyjamas” They were all excellent. Last year there were so many fabulous YA reads. I thought once I retired I would read much more – but so many others projects to do as well! Sounds like heavy going to read all of those – hopefully with some lighter fare in between? I try to read some YA books and graphic novels, too. I loved The Book Thief! I’d also recommend I am the Messanger by Zusak. I read Ready Player One – I loved it! I’m glad you liked The Book Thief – I really hope they do a good job with the movie! Turtle Diary sounds good too. I got excited for a moment because I thought I had it in my unread pile of books, but I think I just have one with a similar name. I am hoping to see The Book Thief movie before it leaves the theatres. I try not to compare book and movie versions too much unless it’s a complete hack job! Hi Alice, I haven’t read too many of the BIG Russian classics, just Crime and Punishment and Anna Karenina. But I did take a few university classes in Russian literature and I love Chekhov, Turgenev and Nabokov! It has been raining here for the past 3 days! Oh! ‘Crime & Punishment’ is among my favourite books! Did you take any Ancient/Modern Greek Literature courses during your University studies? I am afraid that I haven’t read much of Canadian authors. It has also been raining cats and dogs here and even I am in Athens at the moment, the weather is worse than home ( North East Greece, where it is always colder). I loved Crime and Punishment. Someday I will challenge myself to read more Russian classics like The Brothers Karamazov and even Tolstoy’s War and Peace. Not any time soon, though! I just put The Book Theft on hold at the library based on the commercials for the upcoming movie. I have way too many unread books on my shelf. I no longer buy books as it is a guarantee that I will not read it. I love the library. Having to return a book is usually a good motivator for me. The only surefire motivator for me is my book club. Yesterday I went to my book club meeting, and no matter how hard I tried, I couldn’t find time to finish the book. I had about 50 pages left. So I went to the meeting and found out all about the ending. I could have skipped the meeting but I wanted to see everyone, and discuss the book! I vow not to let that happen again! I should look into finding or starting a book club. Sometimes the 3 week deadline of having to return the book to the library is not enough. 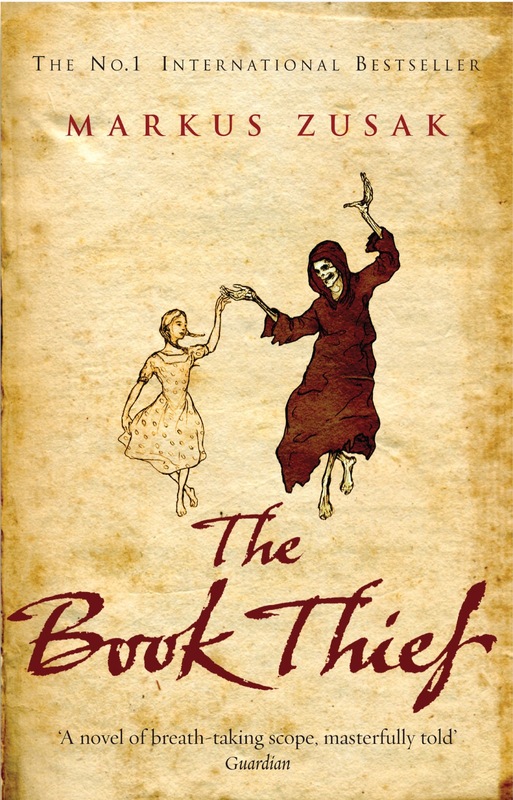 Like you and others, I loved ‘The Book Thief’ too! However, I am not sure I will watch the movie because the trailer already ticked me off. The children are supposed to be skinny, malnourished and dirty, not too pretty blondes in petticoats. Maybe they couldn’t really capture the malnourished child-look without harm to the actors, but they could have dressed them in recognition of the severely hard times they were experiencing. Yes, I tend to compare movies and books 🙂 I just saw ‘The Hunger Games: Catching Fire’ and it did very well staying relatively true to the book. Of course, there were some changes/deletions/additions, which is expected. Currently, I am catching up on Margaret Atwood’s triology by reading ‘The Year of the Flood’, and my Book Club is reading ‘Player One’ by Douglas Coupland. I’m all Canadian content :). Interesting point about the children in the movie. Did you see Les Miserables? I have read Player One (as well as everything else by Douglas Coupland). I would like to read The Year of the Flood since I have read Oryx and Crake. I own and have read both those Margaret Atwood books (very good) and am waiting for the final volume in the trilogy. Is it out yet? Yes, the third one, MadAddam, is out. I have a lot of catching up to do!